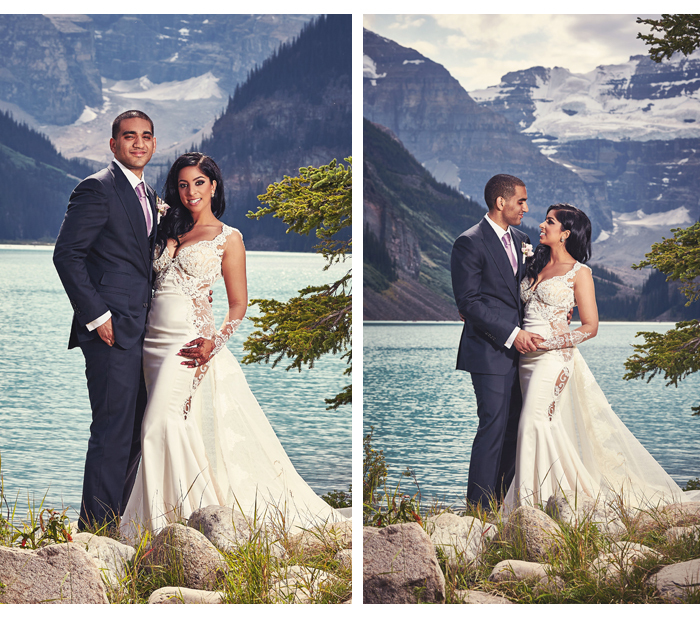 Farin Samnani married Sherif Guirgis on 2nd August 2015 at Fairmont Chateau, Lake Louise, in Alberta Canada. She says: “Sherif and I met at the University of Western Ontario in 2007. We knew each other, but were nothing more than acquaintances. Four years later, destiny brought us back together when we were both visiting mutual friends in San Francisco over St. Patrick’s Day. We’ve been inseparable ever since. We wanted to plan something very different. 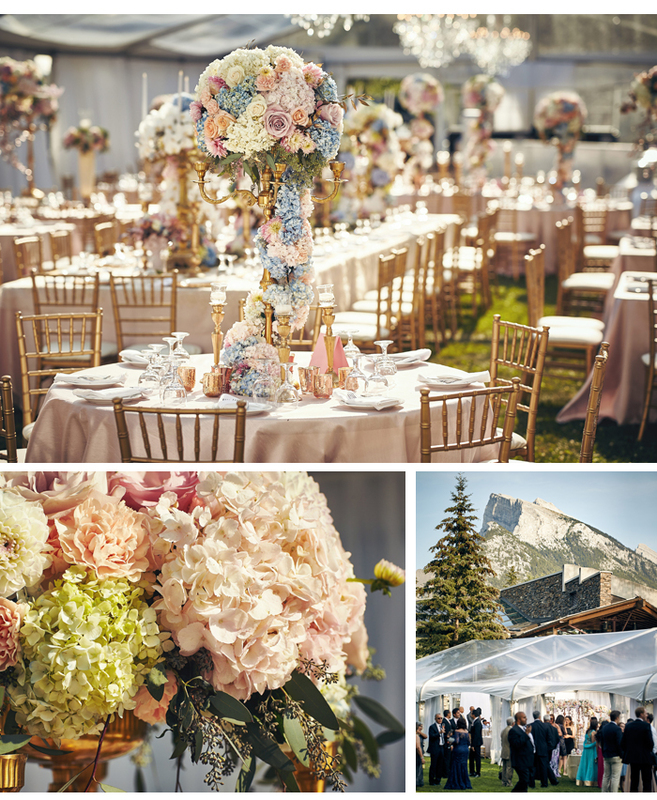 Growing up in Calgary means we’re used to long, cold winters, so we really wanted to take advantage of summer and hold our reception under the stars. 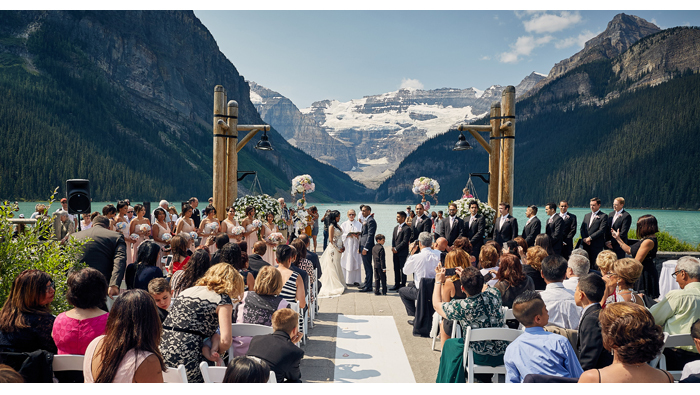 We came up with the concept of a clear-tented wedding, while having the ceremony overlook the beautiful Lake Louise. 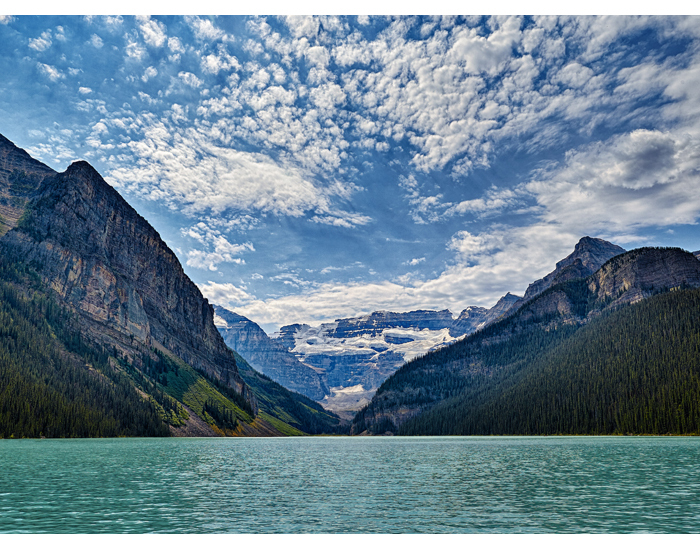 We wanted guests to feel as if they were on a vacation, and the mountains seemed the perfect place. 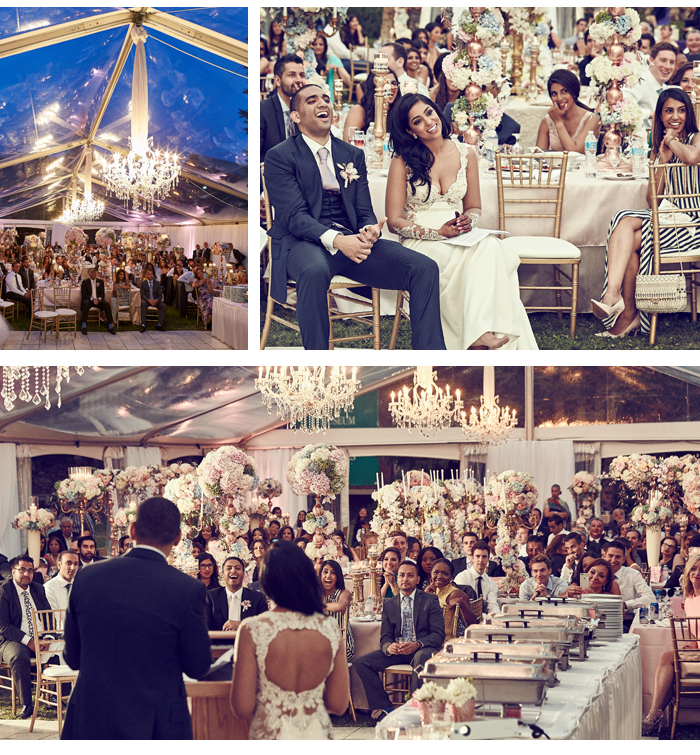 We created a summer garden for the Big Day with thousands of flowers and soft, sheer blush drapes. As my mum has passed away, each centerpiece included a carnation – her favourite flower - as a way to honour her memory and include her in the day. I wanted something a unusual and romantic for my bridal gown. I ended up finding my dream dress at Panache Beverly Hills. It was a gorgeous floor length Galia Lahav dress, with antique lace, and a romantic heart shaped open back. I wore it with Miu Miu shoes and Dior jewellery. 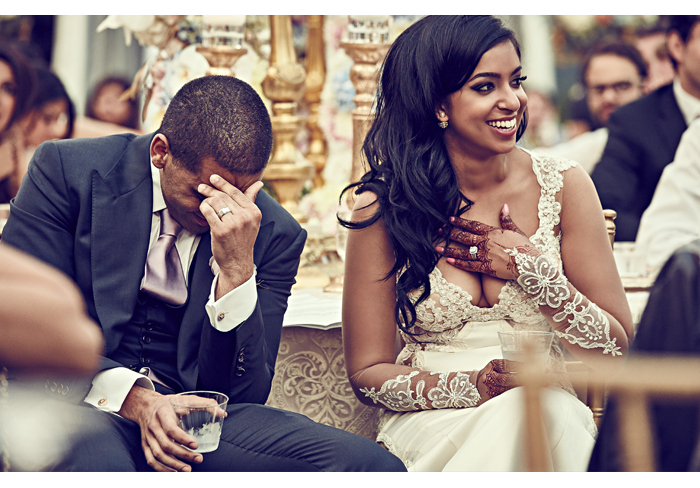 Sherif has always adored the impecciable tailoring of a Tom Ford suit, so he was the only choice for him. 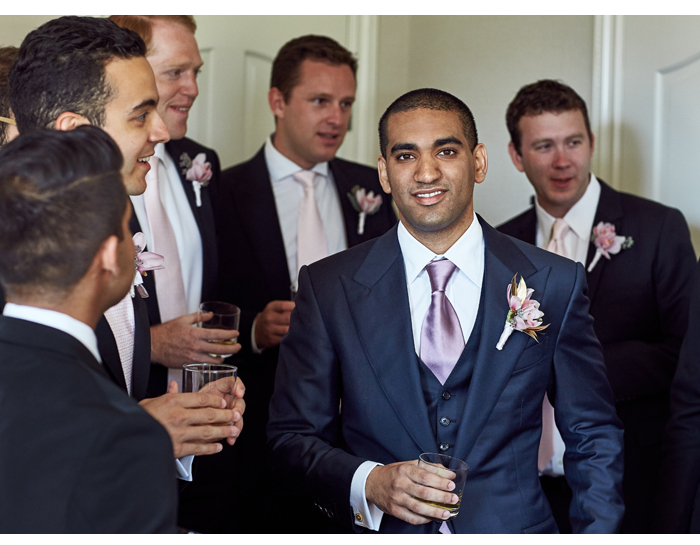 He originally looked at tuxedoes, but chose a dark navy three-piece suit in the end. His dress shoes were by Dior, and cufflinks from Versace. 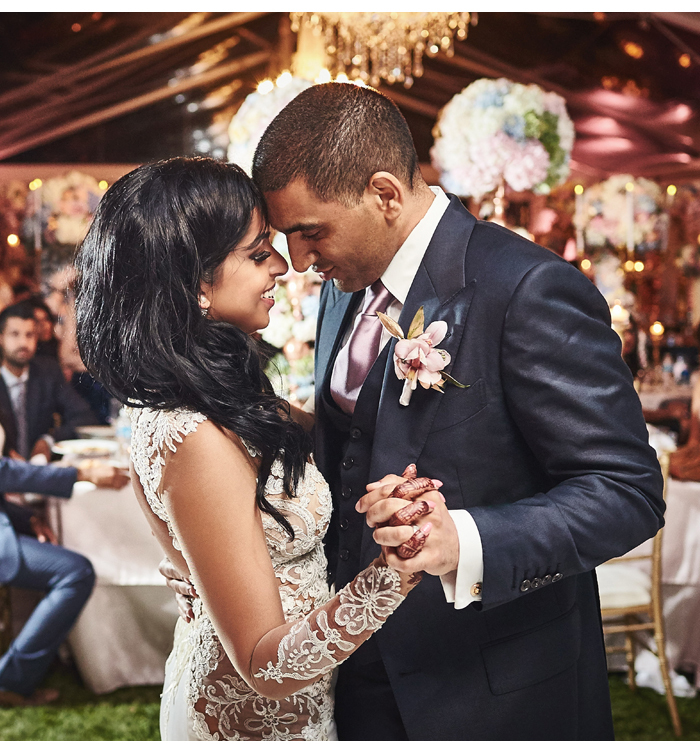 The first time Sherif tried traditional Indian food at Africana Eatery in Calgary he fell in love, and so we had to have that very same vendor cater our wedding food. We wanted comfort food at our wedding, the kind that makes your hands messy but your bellies happy. Evan from Flowerz brought in a literal truck load of flowers from Vancouver City. Evan and his team were beyond amazing to work with. When the tent became too warm Evan sprung into action and had his team find a cool spot for the cake. It was touching to see how much he cared to make our day special. When we first began looking for a photographer and a videographer we had a checklist in mind. We wanted imagery and video that was cinematic, romantic, and colorful. Our search led us to Jules and Marco, both living in Italy at the time. 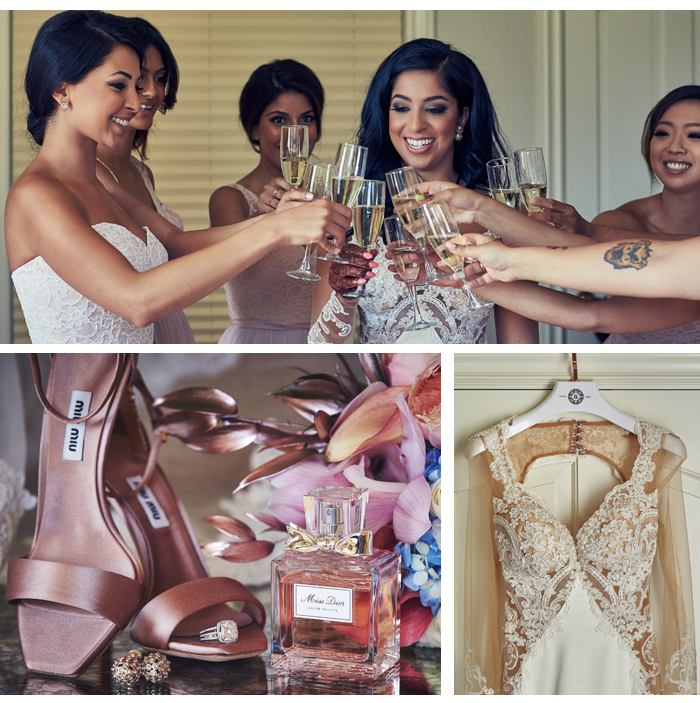 There was something so romantic and rich about the way they captured Italian weddings, and that’s how we wanted to remember our wedding. We were thrilled when both Jules and Marco agreed to fly over from Italy to be a part of our Big Day. 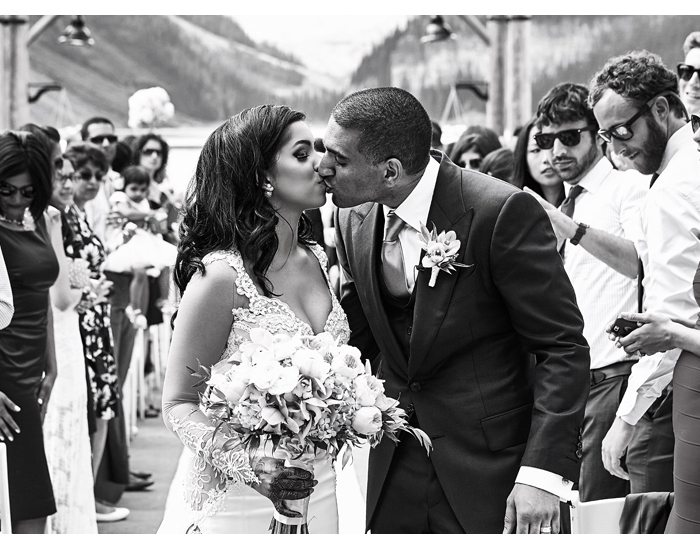 Their cinematic vision captured Alberta’s charms and our wedding exactly as I imagined. One of my favourite moments was when I stopped for a second outside of the marquee and absorbed the scene of all the people I love most in the world celebrating inside, all under one roof. That’s when I understood what people meant when they said this was a once-in-a-lifetime moment. This moment would never be recreated. It was unique, very special and full of love.